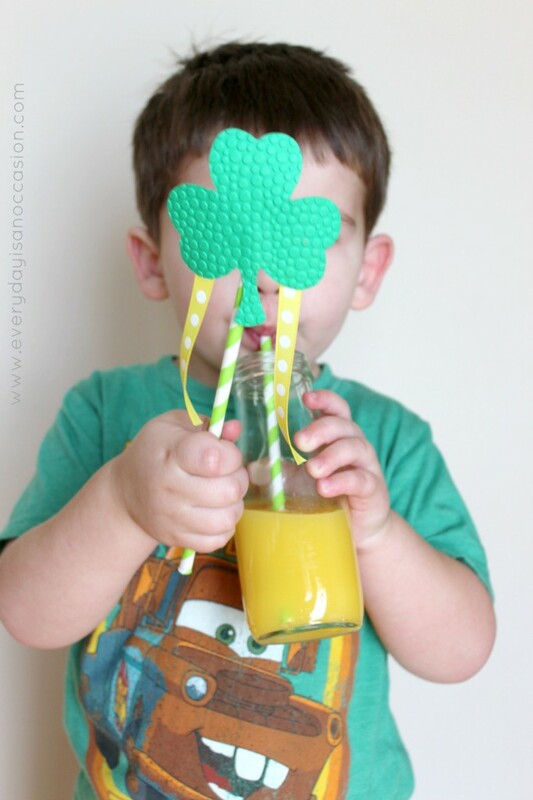 A Fun St Patricks Day Kid Craft-Leprechaun Wands! I saw this idea over at Smart Schoolhouse, which quickly reminded me that I used to make these with my students when I taught first grade! I think St. Patrick’s Day was my favorite holiday when I was teaching. 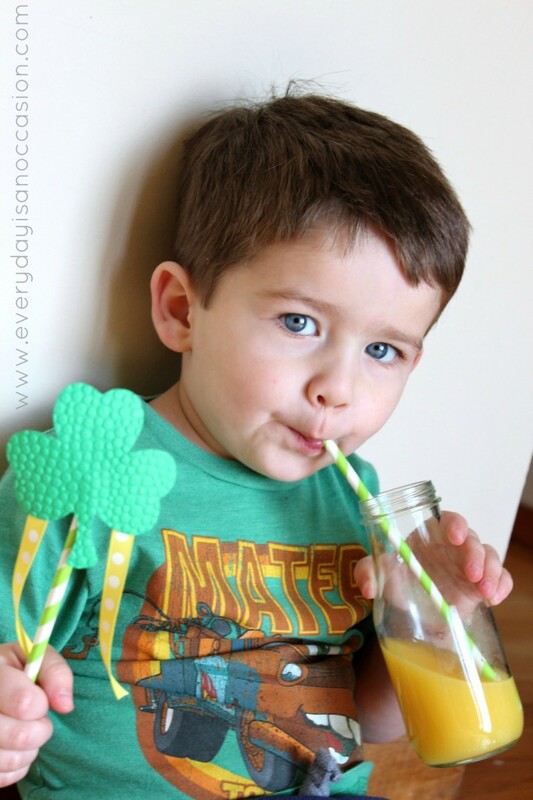 The leprechaun would visit every year! The students would arrive and the classroom would be a mess… chairs everywhere, green footprints, Irish music playing in the background, and a pot of gold at the end of the footprints. 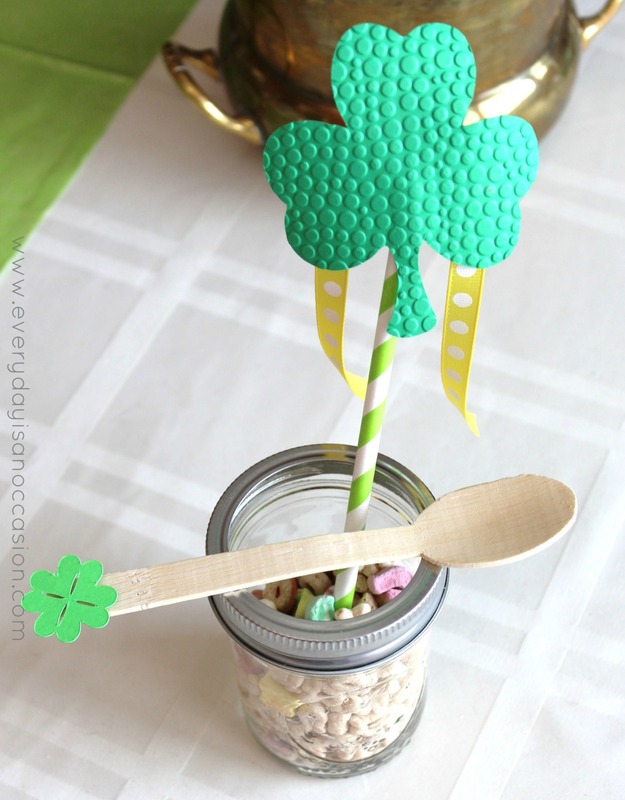 We would make these wands and then dance an Irish jig. It was a great time…so when I saw leprechaun wands on Smart Schoolhouse, it took me back to this time and I knew we had to make them. The kids liked making these and they even used the cuttlebug to make “bumps” on their wand! The embossing step was definitely my sons favorite! After everyone left he embossed like 5 shamrocks! So funny! 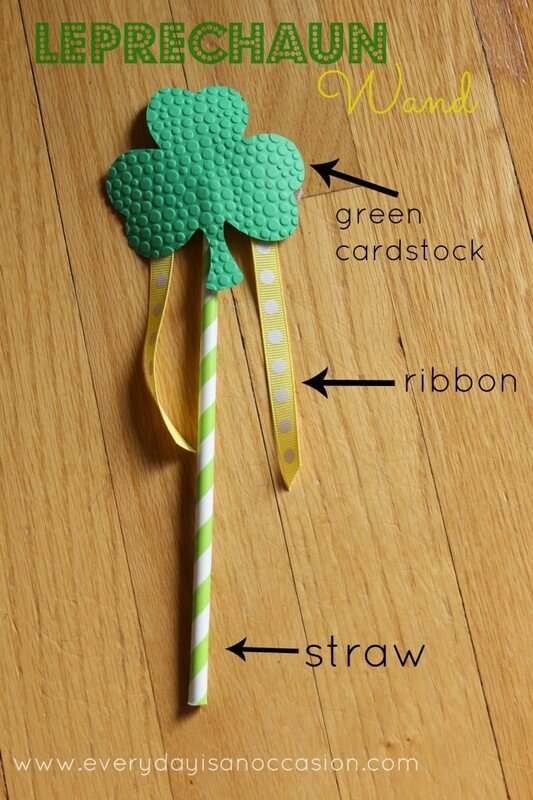 This entry was posted in Holidays, Uncategorized and tagged every day is an occasion, Everyday is an occasion, St Patricks Day Craft, St. Patrick's Day. Thanks so much Amy!! How funny that you used to do the same thing in your classroom!!! So fun! Pingback: Leprechaun Trap + Whoopie Pies!!! WOW! Another great idea! Thanks for linking up!